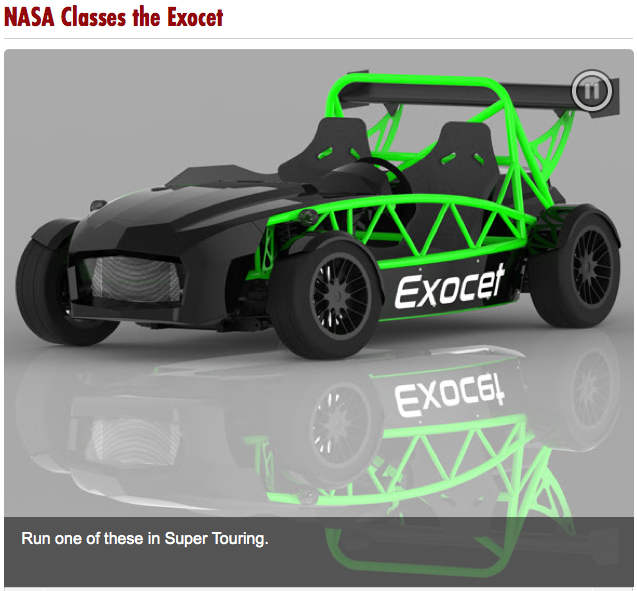 Exomotive - US Manufacturer of Exocars & Kit Cars | NASA classes the Exocet! NASA has officially approved the use of “Production” vehicle status in NASA’s Super Touring classes for 2014 and on. 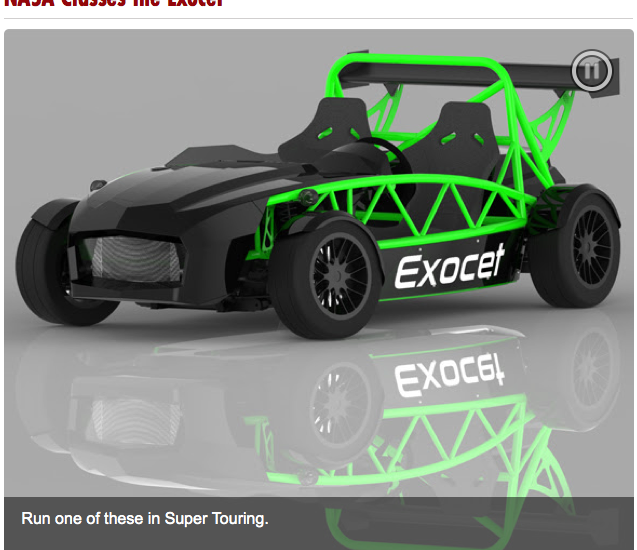 Depending on the power levels of each Exocet, they can be run in ST1, ST2, or ST3. Check out the rest of the article here for more details!